You check the time on your watch and suddenly happen to come across the hour 10:01, although this isn’t the first time that you’ve seen this rather special hour on the clock. The hour which you see so often is actually a reversed mirror hour and has a significance that you would do well to learn more about. 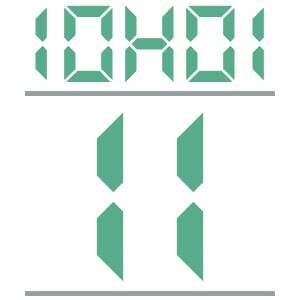 The reversed mirror hour 10:01 that appears to you on a regular basis may be an omen of something bad in your future. It symbolizes a lack of self-confidence, a lack of realization, unemployment, misfortune, and stagnation. But don’t panic, this just means that you need to be aware of a particular event, develop your way of thinking, and take another look at your priorities. You should seek advice to help your life progress more smoothly. It is through specific hours on the clock like the reversed mirror hour 10:01 that the angels try to send us messages and attract our attention. We must recognize that the guardian angels guide us in our emotions, our thoughts, our ideas, and our actions. It is through signs like reversed mirror hours that they communicate with us and give us guidance in our daily lives. Our eyes land upon these hours unconsciously in an almost extraordinary way and our subconscious will often try to look for mystic significance within them. The guardian angels want to use these mirror hours to help us in our daily lives and it is up to us to pay close attention and take the time to figure out the messages that have been hidden within them. To discover the hidden meaning behind mirror hours we need to use our innate intuitive abilities. The guardian angel Lecabel represents glory and enlightenment. He is telling you that he will provide you with a natural gift which will bring you glory and good fortune. His help will be extremely valuable and will allow you to reap great bounties both figuratively and literally. He only wants what is best for you and for you to be happy in every moment of your life. 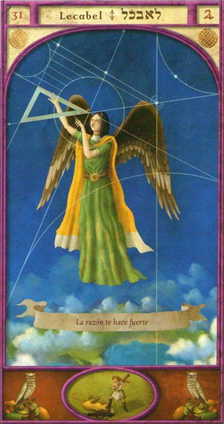 This angel has a strong connection to the reversed mirror hour 10:01 and gives you the ability to quickly and easily resolve all the day to day problems in your life. Thanks to the light he shines upon you he is able to give you good judgment and a high level of intelligence which will allow you to find the most practical solutions to your problems. This guardian angel is a benevolent one and is also telling you that he will be your ally if you engage in the study of business management or the exact sciences. He brings to your mind a love of exactitude and precision; with him, you are constantly looking for excellence and order in every aspect of your life. With Lecabel you will quickly become a very creative person. You are a decision-maker, a conceptualizer, and a planner of the future. He puts an abundance of creative and brilliant concepts into your mind. With his support you will gain revelations about the movements of the cosmos through a study of what may be considered to be small and insignificant by comparison. He will help you to control your emotional states through a sense of reason and to find practical solutions to your problems. He will allow you to handle delicate situations with good judgment and demonstrate clear-headedness and strategy when necessary. He will help you do all of this without separating you from your feelings, intuitions, or emotions. 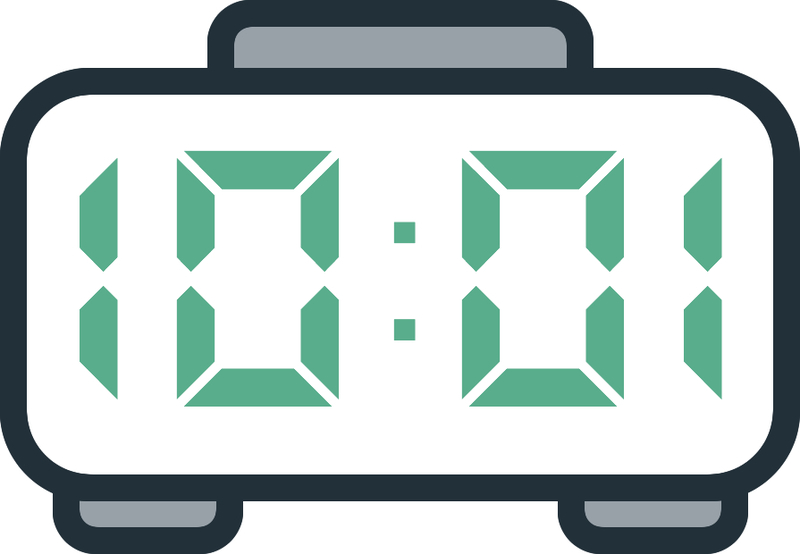 What does 10:01 mean in Numerology? The numerology behind the number 11 symbolizes a departure point, a beginning, or the foundation of something new. However make sure to pay attention to your thoughts and ideas and focus only on what you really want. When you come across the reversed mirror hour 10:01 you will be able to advance without fear along the path that is right for you because your guardian angel is always beside you. The number 11 also represents spiritual awakening and enlightenment. You are adept at giving guidance and inspiration to others to enlighten them and help them develop their spiritual consciousness. By working with others you will have the opportunity to become an inspirational leader. The number encourages you to help and inspire the entire human race through your natural abilities that stem from inner wisdom and intuition. Positive affirmations and an optimistic attitude will bring your dreams to life, and this will help you to reach your aspirations and goals. The number 11 encourages you to express your opinion and your life philosophy to bring about new awareness in others. Just have faith in your guardian angel, he is supporting you and will always be there for you. The number 11 asks you to listen more to your inner voice and work on cultivating your personality. There is an essential balance which is vital for you and others to prevent you from falling into excess in things such as dominating others, feelings of superiority, confusion, intolerance, and disinterest. At the same time you should make use of the energy in this number to move things along in the right direction, to take on big responsibilities, and to benefit others with your ability to see the overall picture through your intuition and knowledge. Your people skills and natural magnetism will be to your advantage. Any comment on the 10:01 mirror hour? I saw this today 10:01 and 10:10 messages are amazing to know I’m being encouraged to go fourth. Thank you. This is great help every time i see mirror hours. Which happens every single day! Seen this number always, everywhere, since forever. I’ve had a horrible last few years, lost my home, job, car had a stroke. now I am reading this and its as if I’ve been running facing the wrong way. Guess I need to listen and be guided by that force instead of fighting it.